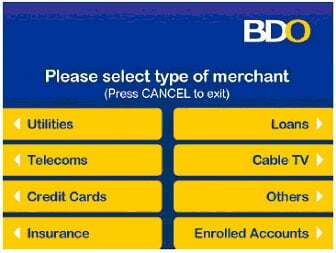 To pay for Dragonpay purchases at any BDO ATM, follow the steps below. 3. 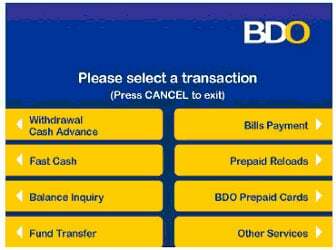 Select the Source Account where payment will come from. 4. Select the merchant you wish to pay for. For Dragonpay, select OTHERS. 5. 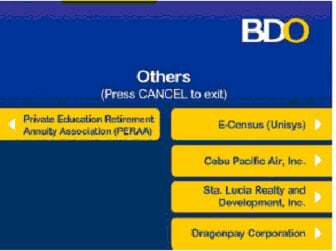 Select Dragonpay Corporation. 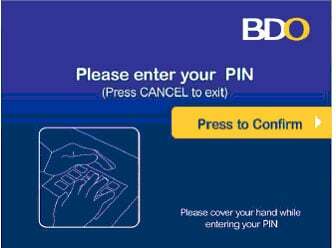 Note: In case, Dragonpay does not appear in the ATM that you used, please contact us with the following details — your card number, the approximate date/time you used the ATM, and the general location of the BDO branch so we can report it to BDO head office. Some older ATM’s do not show Dragonpay yet as a biller and needs to be updated. 6. Enter the exact amount to pay from your email instruction. 7. 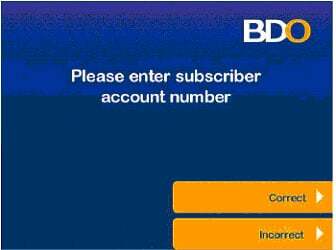 Enter the 10-digit Subscriber Account Number from your email instruction when prompted. 8. A confirmation page will appear on screen showing the biller to be paid and the amount. Validate your transaction’s details and press OK or change. 9. Print receipt option will be displayed. 10. 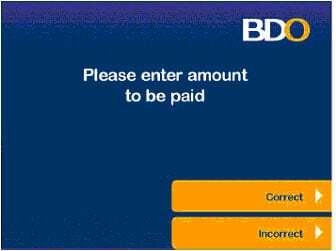 Enter your 6-digit ATM PIN to proceed with payment. 11. Wait for transaction to finish processing. 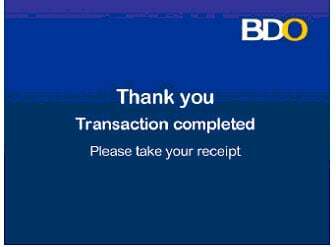 A screen will appear once transaction has been processed by BDO. Dragonpay will process your payment the next day only so plan your payment schedule accordingly. If your payment is due today, you can still pay through this channel. But take note that your payment will not reflect until the next day. So if you wish to avail of a product or service which you plan to use on the same day, do not use this channel.